BANNED Wallaby James Slipper will make his return to the rugby field after being named to take on the Wallabies in an internal trial on Friday night at Leichhardt Oval. Slipper, a veteran of 86 Tests for the Wallabies, became the first Australian rugby player to test positive for a banned drug twice, to cocaine in February and May. The 29-year-old was stood down for two months and fined $27,500. In a letter addressed to the Australian rugby community, Slipper revealed he had been battling depression for the past year. A tribunal factored in his mental health struggles before handing Slipper the softest punishment available under RA's illicit drugs policy. 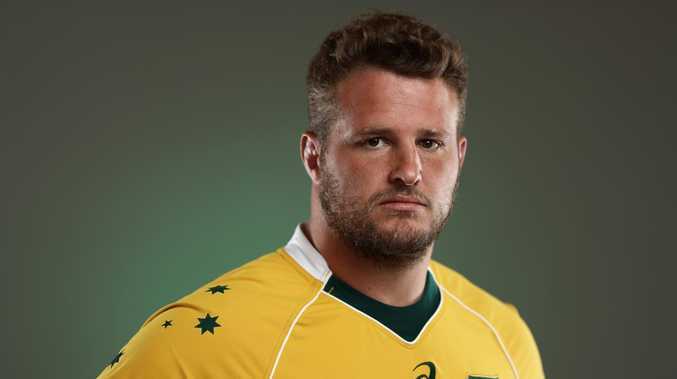 But Slipper is believed to have made strong progress with his health and his return to the playing field is a positive step for him and Australian rugby. He is one of four capped Wallabies, along with Blake Enever, Matt Philip and Richard Hardwick, who will line up against Michael Cheika's side ahead of the first Bledisloe Test on August 18. Australia's women's sevens coach, John Manenti, who will also coach the Super Rugby all-stars team, has been impressed by Slipper's attitude. "James's enthusiasm has really impressed me since we invited him to join," Manenti said. "He's keen to be back out there and training hard, but also really wants to get his old Wallabies teammates firing ahead of that first Bledisloe. "That just shows the character of the bloke." 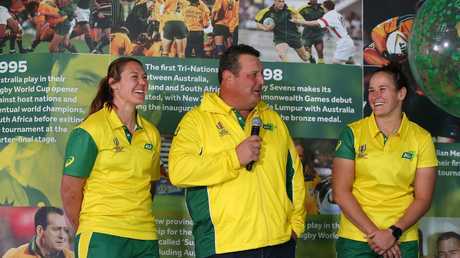 Australian women’s sevens coach John Manenti will mentor the Super Rugby all-stars. Along with the four Wallabies named, the squad is filled by a number of Super Rugby players and top-line club players. Rebels club captain Tom English will lead the team. 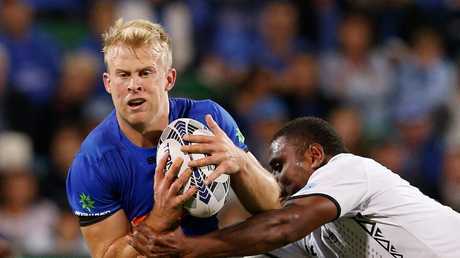 The Western Force's Andrew Deegan will wear the No.10 jersey and play alongside Reds halfback Moses Sorovi in the halves. Former Australian sevens speedster Pama Fou, who has enjoyed a successful year playing for Eastwood in Sydney's Shute Shield competition after an injury-riddled 2017, will form an exciting wing combination alongside Reds gun Filipo Daugunu. "We'll have some fun this week but make no mistake, we will prepare as best we can to give Cheik's side a real shake on Friday night," Manenti said. "I know how important this game could prove to be ahead of the Bledisloe Cup so we need to play with real accuracy and plenty of intensity straight from the kick-off. "I have to thank the Super Rugby coaches and club rugby coaches across Australia for being so accommodating in letting us borrow their players for what's set to be a special night in Sydney." Friday night's fixture is free and can be live streamed on rugby.com.au.